A large group of teenagers—60 in all—huddle around Pablo Borboroglu—founder of the Global Penguin Society (GPS)—listening with rapt attention as he runs through the day’s itinerary. 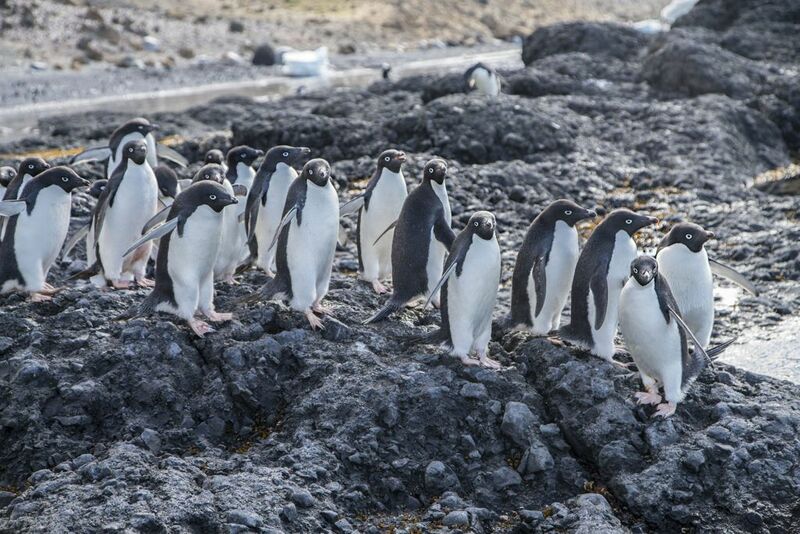 They are part of the “Cleaning the House of the Penguins” campaign crew, and they will spend the day helping the GPS team comb the beach and collect plastic and trash, in honor of World Environment Day, today. Keeping this beach pristine is especially important as it is also a prime penguin nesting spot, where large colonies of penguins live and nest. Penguins, like other marine animals, can often mistake plastic as food; if a penguin swallows enough plastic, the indigestible scraps can build up in its gut and prevent the bird from digesting real food. On the other side of the continent, in Samburu, Kenya, 30 primary school children pose excitedly in front of the camera held by a team member from Save the Elephants. Each child holds a tree sapling. In a few minutes, they will plant their sapling in the ground, turning a semi-arid region of the Samburu savannah into a green island, one tree at a time. This planting of trees or “green spirits” is part of Save the Elephants’ (STE) campaign to restore the degraded landscape from years of intense drought, erratic rainfall, and overgrazing. Through tree planting, STE aims to involve the local community and their children, essentially creating future environment ambassadors. These are just a few among the many activities our partners at the Global Penguin Society and Save the Elephants do to help create a safer, healthier environment. Today—on World Environment Day—we’d like to take the opportunity to also highlight the efforts some of our other partners are taking to safeguard our planet. Repurposing recycled plastic bags to make a fashion statement. Proyecto Tití (PT) uses recycled plastic bags in their eco-mochilas program; an eco-mochila is a traditional bag used in Colombia that is hand-crocheted by women in the village of Los Limites, near their field site in Santa Catalina. It is entirely created from recycled plastic bags. Supporting local businesses—buying fresh, organic vegetables free of pesticides and other harmful chemicals from local village farms. In the water scarce region where they work, Ewaso Lions limits their use of water, showering with 5-10-liter water buckets, warmed by the sun, as a way to conserve water. In addition, the local Samburu women who are part of their Mama Simba program conduct frequent “environment clean ups”, using this opportunity to also educate people about lions and lion conservation. Finding a creative outlet with plastics. Cheetah Conservation Botswana runs a plastic bottle recycling project with environmental clubs in Botswana, to collect stray plastic bottles and turn them into art projects. Reducing carbon footprint through solar. Niassa Lion Project’s entire office runs on solar energy. In addition, they use a water filtration system that allows them to use river water and phase out the use of plastic bottles. Their goal one day is to phase out single use plastics completely. Engaging with students and fishers with experiential education in four countries to expand their understanding of the sea and especially of sharks and rays, and to change their attitudes and behaviors towards these threatened species to help reverse the declines in their populations. Gearing up for a clean-up campaign (one of many previously conducted) on June 7th in Gwayi—one of their core operating areas—by bringing together three local primary schools, one secondary school, the business community, and the Gwayi community members. At the WCN office, we follow a strict recycling and composting program, and all used paper, plastic, and food waste are sent to companies that create new items with them—such as turning food waste into soil for agriculture and tin cans into various steel products. In addition, we are headquartered in San Francisco, a city with the highest percentage of landfill waste diversion at 80%, leading all cities in the U.S.
As our Partners demonstrate daily, we can all be a part of the solution to protecting our planet, and we can do so right from our own backyards, no matter where in the world we are situated. So, what will you do today to join the movement?